Lauded for his “sensitive and stylish” (New York Times) and “superb” (Opera News) playing, pianist Craig Terry has launched an international career regularly performing with some of the world’s leading singers and instrumentalists. 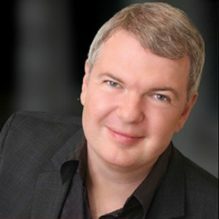 Currently Mr. Terry is Music Director of The Patrick G. and Shirley W. Ryan Opera Center and is in his eleventh season as Assistant Conductor at Lyric Opera of Chicago. Previously he served as Assistant Conductor at the Metropolitan Opera after joining its Lindemann Young Artist Development Program. Mr. Terry has performed with such esteemed vocalists as Jamie Barton, Stephanie Blythe, Christine Brewer, Nicole Cabell, Sasha Cooke, Eric Cutler, Joyce DiDonato, Giuseppe Filianoti, Denyce Graves, Susan Graham, Bryan Hymel, Brian Jagde, Joseph Kaiser, Quinn Kelsey, Kate Lindsey, Ana María Martínez, Susanna Phillips, Luca Pisaroni, Patricia Racette, Catherine Wyn-Rogers, Hugh Russell, Bo Skovhus, Garrett Sorenson, Heidi Stober, and Amber Wagner. He has collaborated as a chamber musician with members of the Metropolitan Opera Orchestra, the Lyric Opera of Chicago Orchestra, the Gewandhaus Orchester, and the Pro Arte String Quartet. Craig Terry was recently named Artistic Director of “Beyond the Aria,” a new concert series presented by the Harris Theater in collaboration with the Ryan Opera Center and Lyric Unlimited. His discography includes “Diva on Detour” with Patricia Racette, “As Long As There Are Songs” with Stephanie Blythe, and “Chanson d’Avril” with Nicole Cabell. Mr. Terry hails from Tullahoma, Tennessee, received a Bachelor of Music degree in Music Education from Tennessee Technological University, continued his studies at Florida State University and received a Masters of Music in Piano Performance/Accompanying from the Manhattan School of Music where he was a student of pianist Warren Jones.